MIAMI (April 29, 2015) – Produced in a style that expresses the fun and awe-inspiring features of Carnival Cruise Line’s newest, largest and most innovative ship, Carnival Vista’s new video tour is a distinct departure from most new ship overviews. Narrated by the ship itself in a carefree, sassy female voice that mirrors Carnival Vista’s online social media persona, the video ranges from bird’s-eye overhead views of the vessel to swooping careens through engaging public spaces and expansive outdoor decks. 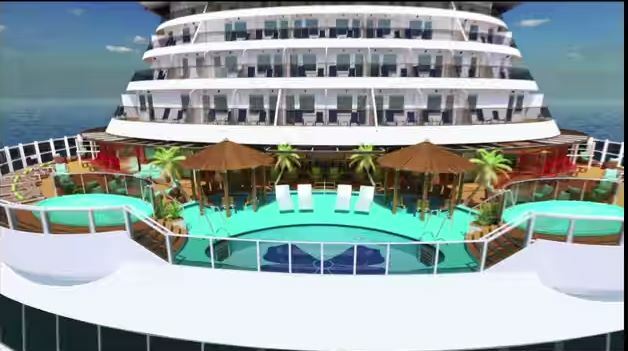 The video also highlights the spaciousness and indoor-outdoor integration of Carnival’s newest ship, set to debut in Europe in May 2016. The video can be viewed here.